How to get a man who has spent his entire career playing a part, to be truly honest about his life. This was the challenge that fell to Joe Stephenson and his team when confronting the living legend that is actor Sir Ian McKellen. How to sum up the life of a man who has lived long and fully, within the confines of a feature film. Stephenson rises to both these tasks admirably, with his star plonked in a rather comfortable looking red seat, he begins his reminiscence at the very beginning of his story. A quiet, meditative tone is struck as McKellen discusses his early life in Wigan and Bolton. The journey to find moments that link to his desire to be an actor seems cathartic, his thoroughness seems to come from a want to answer the questions for himself. As the memories pour from him, the deep care he has for his craft becomes ever more astonishing. The vivid recollection of every small moment that culminated in ever improving performances is deeply affecting, this is not someone who made it in a quick burst of popularity, his success come from merit. Each performance and its reception still lives inside this man, the joy and pain of which is still etched on his expressive face. His recollections are admirably performed by Milo Parker (as a child) and Scott Chambers (as a young man). These thoughtful recreations give life to these memories, they are so naturally performed that there is the sense McKellen is describing these scenes himself, instead of recalling his own actions and experiences. The more he describes the more desperate for footage of his performances the viewer becomes, and when that thirst is eventually slaked it is well worth the wait. The archive footage of his time on stage is a wonder to behold. Yet there is an honesty regarding his performances, an incessant search for perfection, a genuine dedication to his art. There is a bluntness in his honesty, when discussing his sexuality he recalls how early he realised he was gay and how aware he was of the illegality. He hid it within circles of theatre actors, on the outside it was just another part to play. A fierce intelligence is on display, regarding his effect on people’s lives with his performances, he simply remarks that this is his intention, he can’t complain when audience members then feel the need to contact him outside his arena. The intention of a good actor is to become involved in the audience’s lives, don’t be surprised when they feel the desire to be involved with yours. The film portrays McKellen as a real man of the people. His work setting up and running the Actor’s Company shows his commitment to nationwide audiences. His contribution to the Stonewall movement demonstrates his desire to give the next generation of LGBTQI a much more equal life. The amazing attitude change he develops at this late stage of his life regarding the journey of the younger generation is a testament to the man. 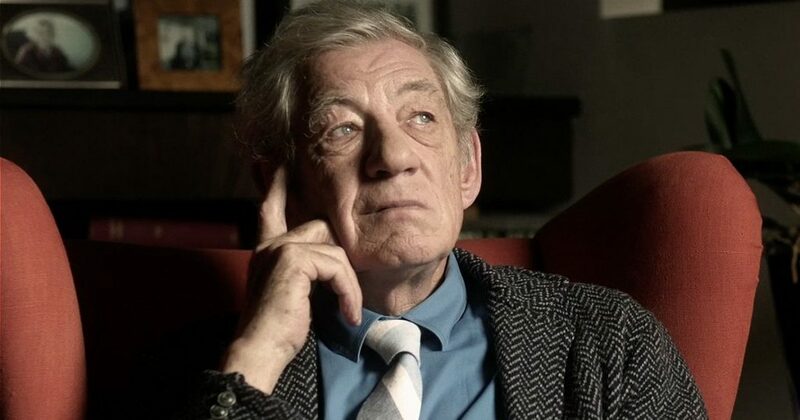 Stephenson intersperses the dialogue with the seated McKellen with footage of him at events, working hard, listening and preaching powerfully. It is sometimes hard to believe the man in the chair has the energy for this work but still he continues. Though he admits that he considers his death daily, in a frank appreciation of how he feels and appears. Stephenson has unlocked some real rumination, though only Mckellen himself will know if this is just another role in a career studded with too many exceptional performances to list here. It seems the director has managed to bring down the lifelong shield Sir Ian has held up to the media, and what is achieved seems to be a moment of complete truth, often uncomfortable for the subject but purgative and affirming.